As the market rolled through the summer, busier than we’ve had in nearly 9 years, appraisers were once again put in the spotlight. I read articles about appraisers “killing” deals, and saw news reports talking about how we held up the home-buying process. I have a lot of thoughts on this topic, but I’m going to try to stay focused. A while back, I wrote about when a property has an agreed-upon price, it can be a good indicator of value, but not necessarily the value of the property. I made the argument that it could be worth more. See the article here. Here is the flip side to that argument. We’ve seen a lot of properties with multiple offers the same day of listing this summer. 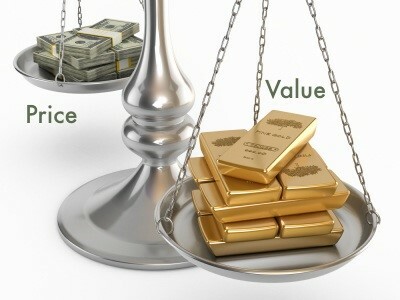 The definition of market value sale says that both buyer and seller are acting under no duress. I’ve talked about a seller being under duress (divorce, foreclosure, relocation), but what about the buyer? When the market is as under-supplied as we’ve seen it lately, I’m sure there are some pretty anxious people looking to secure a home. With school starting and the holidays just around the corner, people don’t want to be moving in the winter. Would that be enough of a reason for them to offer a higher price on the property just to secure it? I think yes. And I also think it’s undue duress; hence, an indication the contract price is not market value. Here’s another scenario. The inventory is low, and a good-enough property for the buyer is listed. The buyers are advised to offer well above market in order to secure the deal, with the expectation that the appraiser will come in under the contract price and force the sellers to negotiate. It might sound far-fetched, but I’m telling you from first-hand knowledge that it’s not. This is a dangerous practice, and not something I would recommend, and it’s certainly not a representation of market value. As a side note, an appraisal completed for a bank, for loan purposes, cannot be used as a negotiating tool. That appraisal has one purpose (technically speaking): to allow the client (bank) to make a decision regarding financing on the property. Purchase price: $345,000 because the “appraiser” supported it. The seller collects $285,000 to pay off a loan of $276,000. The seller now has $9,000 to put down on their next house. A $9,000 down payment is 20% of $45,000. Have you ever seen a $45,000 house? I realize these numbers aren’t exact. I know a lot of purchasers don’t even put 20% down. I saw loans this summer advertised with 3% down. These numbers get even scarier with low downs. This is a hypothetical situation. Sort of. I don’t know of an example where everything happed just like this, with these numbers, but I know of situations that aren’t too far off. The numbers can be used as an example of any scenario when a buyer might pay too much for a property. It’s time like these that you need an honest, experienced, and knowledgeable appraiser. We at the Moore Appraisal Firm are just that. As always, thank you for letting us be your residential and commercial appraisal experts.